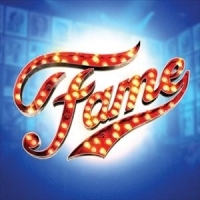 "Fame the Musical is based on the 1980 film of the same name, which was conceived and developed by David De Silva, with a book by Jose Fernandez, music by Steve Margoshes and lyrics by Jacques Levy. It tells the story of several students who attend the High School of Performing Arts in New York, among them fame-obsessed drug addict Carmen, shy actress Serena, wisecracking comedian Joe, smart violinist Schlomo, and 'talented but dyslexic' dancer Tyrone. Well known hits include 'I Want to Make Magic', 'Fame' (a number 1 hit for Irene Cara), 'Dancin' on the Sidewalk' and 'Bring on Tomorrow'." The musical was set to tour in 2018.